Wholesaling real estate . . . the quickest way to fast cash in real estate investing. If you mastered the process of finding great deals, contracting them, and then selling them quickly to other investors . . . how would that change your life? If you had the ability to create $5,000 or more whenever you felt like it, wouldn’t that be awesome? All without even sticking your neck out and risking much of anything . . . other than a small investment of time. That’s what wholesaling real estate can do for you. It’s a low to no risk real estate investing strategy where you can pocket thousands of dollars in cash within a matter of days. This is especially true when you just assign the contract to your wholesale buyer rather than closing on the property and then reselling it. Below, I’ve broken the process down for you . . . step by step . 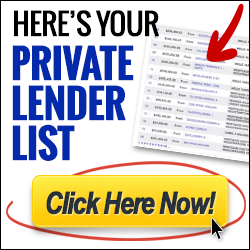 . . so that you can turn your real estate investing wholesaling efforts into fast cash in your pocket. I got the idea to put this resource together because I was teaching the exact same base of knowledge to all of our students when they first joined our program . . . and I started seeing patterns . . . patterns of where people were having trouble, what was holding them back, and what they needed to be successful. Even if you’ve been investing for awhile, this video is well worth the hour you need to set aside to watch it. Get access to the video Now! Watching the video above will help you make your plans. You need to put together your educational plan, your marketing plan, and your real estate investing plan. Make sure that you include a deadline for every goal that you include in your plan. Deadlines get things done! You want to have a wholesale buyer(s) who is ready, willing, and able to close as soon as you have a great deal contracted. And, it’s a lot easier than you may think. There are tons of investors out there in every market that are constantly on the lookout for deals. Here’s an article that will help you out, How to Build Your Wholesale Buyer’s List. Every time you speak with a potential wholesale buyer, you want to gather as much information as you can about what type of properties they are interested in, what price range, area, etc. Use our free form for building your wholesale buyer’s list to do so. Remember, it’s not all about the size of your list . . . it’s about the quality of it. A few active serious real estate investors could be all that you need to sell your contracts fast for cash. But, it doesn’t hurt to continue to grow your list. The bigger and more responsive your list, the more money you’ll be able to fetch per deal. The overriding question in your mind at this stage should be, “How can get my phone ringing off the hook with seller leads?” That’s how to get on the fast track to wholesaling success! A marketing plan consists of several leads generators that you consistently have in place and track the results of each. Marketing is all about testing! My first marketing plan included a “We Buy Houses” ad, bandit signs, and knocking on doors of people in foreclosure. As leads came in, we did more of what worked, and less of what didn’t, and continually tried new strategies to get the phone ringing off the hook. And how about a way to get free seller leads? Download the free professional “We Buy Houses” Craigslist ad Now! The same lead could come in to 2 different real estate investors . . . one of them dismisses the lead and the other asks good questions, qualifies the lead effectively, and makes several thousand dollars wholesaling it. Learn how to effectively qualify a seller lead. And keep in mind, it’s not about you and your house buying services . . . it’s about asking good questions and crafting a deal that makes sense for everyone involved. One of the most costly mistakes you can make is thinking for other people. Typically with investors, more money is lost here than any other part of the deal. Make your offers based on your own criteria . . . not what you think other people will accept. Defining the expectations of sellers is an important process that will save you tons of time and money. You want sellers to know that you’re in business to make a profit, you work with a professional company, you’re not the decision maker, you can close quickly with cash, amongst other things. Until you have a signed contract, you’ve got nothing! When a seller is highly motivated, there is no time to waste. Contract the property as soon as possible. And even when you get the contract, what you don’t want to happen is have it slip away because you didn’t protect it like you should have . . . which can happen to the best of them! Learn the secret to protecting your deals. Since you will be wholesaling the property and assigning the contact, there are two things you’ll want to include . . . after your signature, write the words, “and/or assigns.” This explicitly states that you have the right to assign the contract. Also, in the special stipulations, make sure to say something about the fact that you are only obligated to close on the property if you find a suitable buyer. Three things you want to provide for your wholesale buyers . . . an estimate of repairs, comparable property information, and a title report. Get a couple different contractors to give you estimates, a Realtor can help you put together a CMA (comparative market analysis), and get an attorney, title company, or title researcher to make sure the title is clean. This will most likely happen at closing (when your wholesale buyer closes on the property). Or that’s how I would make sure it happened if I was on the wholesale buyer end. As a wholesale buyer myself over the years, I paid the wholesaler at closing. 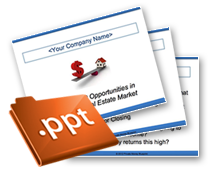 You can have your closing agent put together a simple assignment form for both parties to sign. And then it’s time to . . . Congratulations!!! You just successfully wholesaled your first property . . . and you know what . . . I bet you would say that it’s easier than you thought it would be! At least, that’s pretty much what every wholesaler that I know says. Now treat yourself to something special, or treat your significant other or best friend to a special night. You deserve it! This is an extremely valuable skill to develop as a real estate investor. Once you go through the process, your mind is going to open up to an entire world of opportunities . . . think about it . . . you’ll be able to create $3K, $5K, even as much as $10K or more any time you want . . . just by wholesaling another deal. The first time you do anything is the hardest. Each and every time after that it gets easier! Get out there and take action today! I’ve been following your materials and those of Mr. Traub lately, and I want to tell you that you both have some first-class content, and it’s very well presented. My profound appreciation! I like the format of your articles; it seems to be the same as that of Duncan Wierman, whom I have followed for some time now. I can copy and past the stuff onto word files, including the links to videos, pdfs etc., and it’s just like getting a regular course. I have trouble trying to read things on the computer, so I print everything out. Once again, thanks for your great contributions! You hit the nail on the head with this article. I’m not sure why I sometimes think it’s so hard to do this. I printed this article out and stuck it on my wall. Thank you so much. I have been studying and looking to put the pieces all together and you did it! I am anxious now to start. I think a lot of the reason that people fail at this is due to lack of planning and having a back up plan. If you want any of the TV programs on they make it seem so effortless to flip homes and make huge money in real estate. I’m glad to see that you lay out a specific plan of action as well as some contingencies. For quite sometime I have been planning to do something on my own. Reading your post has given me an idea of getting down into real estate dealings. Thanks for those useful tips. This is one of the most informative Beginners Guides that I have ever read! Great to hear Darryl… thanks! If I can help you out with any questions, let me know.